creative collaboration requires the right kind of environment. that is what the playground offers. 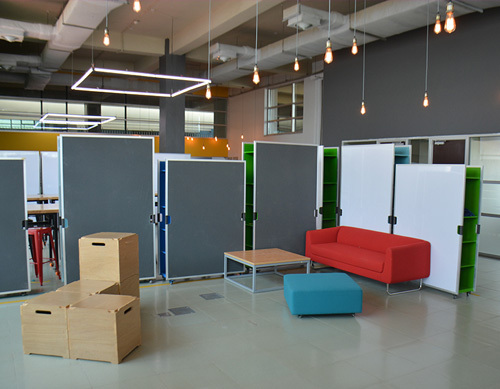 The playground currently has four dedicated zones to facilitate creative collaborative work. Zone 1 is designed for group-based activities and discussions with sit-down desks and chairs. It is equipped with our multi-purpose movable boards (white-board, soft-board and storage), a multimedia trolley, and a trolley for craft supplies. Zone 2 offers spatial and operational flexibility with stackable multipurpose boxes, a large red sofa and multiple ottomans. The setting encourages users to customize the space according to their needs. 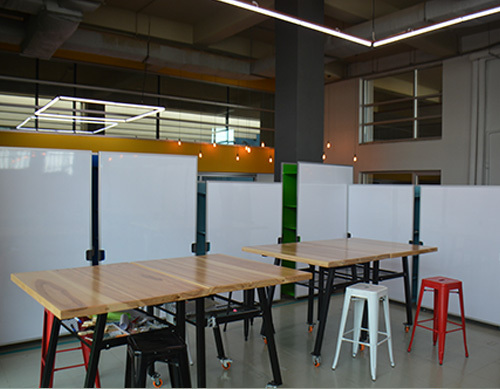 It is also equipped with our multi-purpose movable boards (white-board, soft-board and storage) and a trolley for craft supplies. 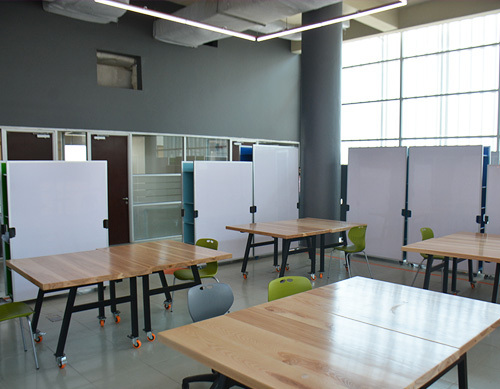 Zone 3 features standing desks and stools to specifically facilitate making and prototyping activities. It is equipped with our multi-purpose movable boards (white-board, soft-board and storage) and a trolley for craft supplies. At the playground we have curated the right tools for you to start transforming those great ideas into reality! Click here to check out the full list of supplies. 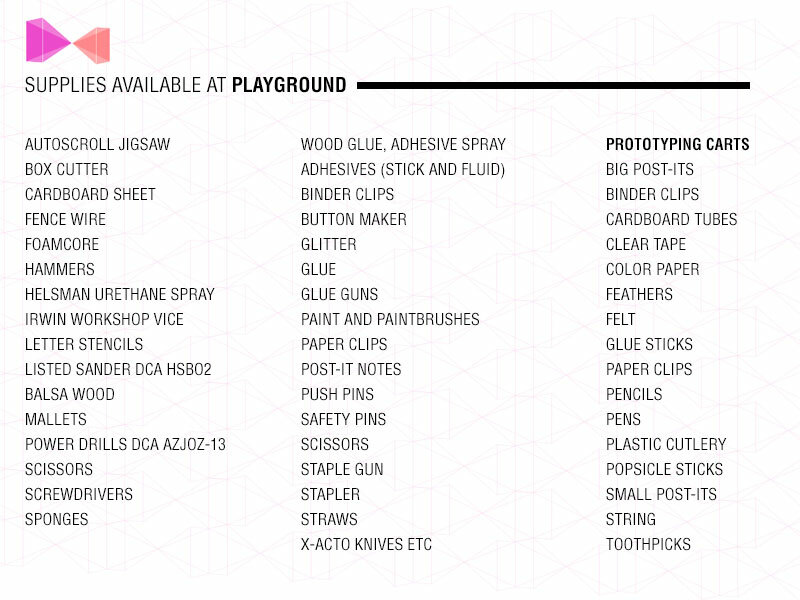 Design Thinking, or Human-Centred Design, is at the heart of Playground’s vision and mission. Our faculty and team are trained in the methodology and provide their expertise to all our users. 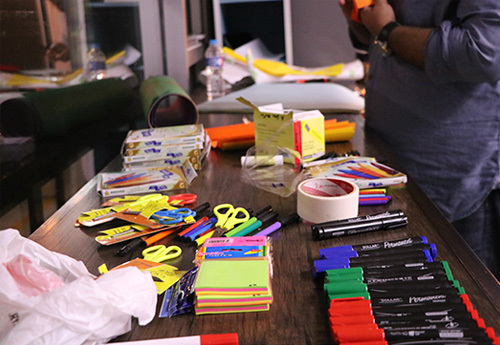 From conception to execution, we can help design your activity (workshop, pop-up, or challenge) according to the HCD methodology. 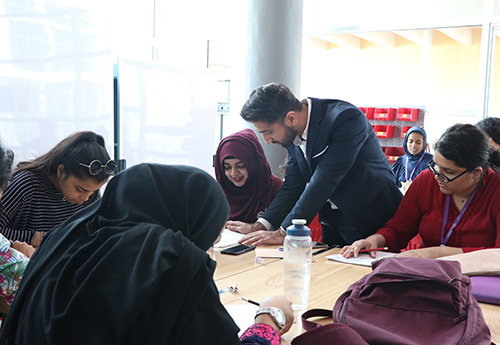 We also provide our expertise to conduct Design Thinking workshops at your institutions, conferences and spaces. Send us an email to see how we can assist you.